The living elements of a landscaped space are known as softscaping. 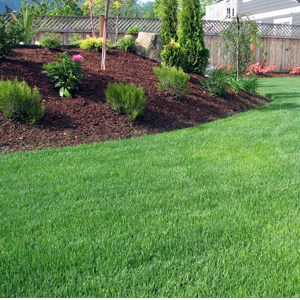 These elements include plants, flowers, trees, shrubs, flower beds, and lawns. Softscaping gives a softer, more natural look to a garden than the rigid structural elements provided by hardscape designs. For most gardens, the best results can be obtained through a mixture of softscaping and hardscaping. By mixing attractive materials such as wood, brick and stone with the natural beauty of plants, it is possible to create a well-balanced environment where all elements co-exist in harmony. We offer the following softscaping services in North London and Northwest London.